Qualifying leads is an important activity that sales teams focus to improve their productivity and win customers. We will show you how easy is to build a lead scoring app using machine learning algorithms. 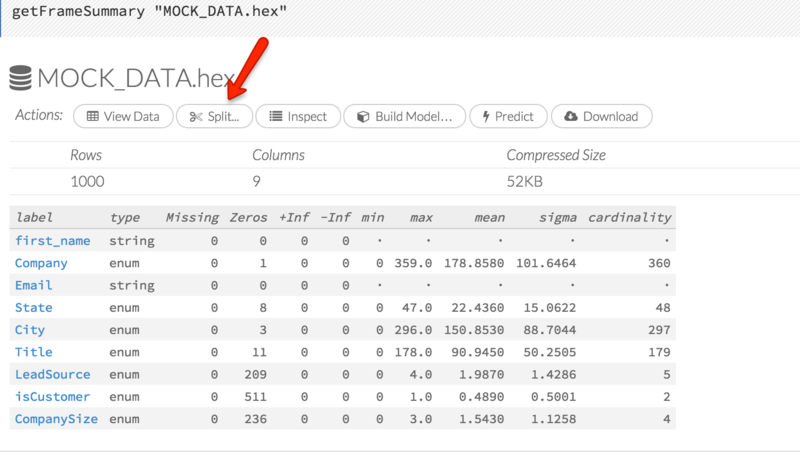 For this blog we will use h2o.ai but in the next few days we will show how easy is to build the same using Apache Spark, Azure ML. etc. Following are the ingredients you need to cook a delicious predictive lead scoring model. Lead dataset. For this example we will use the SFDC lead object. Visualization – Our favorite Salesforce Wave! isCustomer – This is the objective field that we will be predicting. Here are the step by step instructions to build a model in h2o.ai. Download the latest edition of h20.ai and run the instance. Its straightforward and should be up and running in few mins. Key thing to note here is choose the right attributes for the fields. Create test and validation datasets. Select train (75% split) dataset to build the model. Choose the algorithm, for this example I chose GBM. Select the train and validation datasets and the objective field we want to predict. Model completes and results are available to review! Now use the predict function to run on a test dataset to score leads! Use h2o.ai to train and validate models. Load the results of the datasets in visualization tools like Salesforce Wave for business users to access the results of the predicted status.